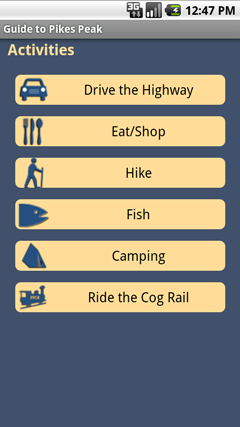 Enhance your experience when visiting Pikes Peak by downloading the Guide to Pikes Peak mobile app for Android. 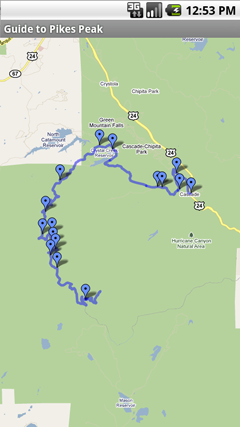 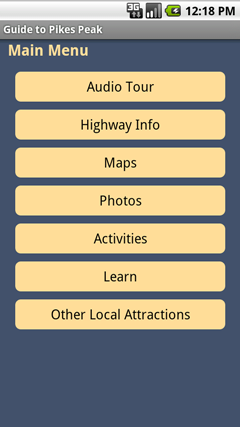 Within the app, you will enjoy a photo gallery, interactive maps, the Audio Tour of Pikes Peak and a plethora of information about activities on Pikes Peak, including hiking, fishing, eating, shopping or riding the Pikes Peak Cog Railway. 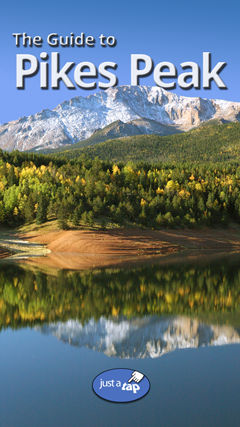 You can also learn about the history of Pikes Peak, sightings of Big Foot (and other strange stories), mountain geology or how the song America the Beautiful got its start. 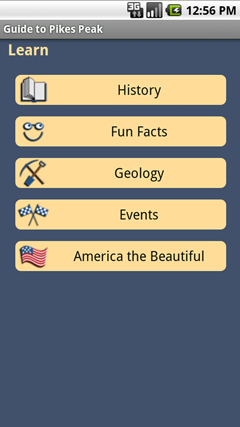 When you complete your visit to Pikes Peak, the app also provides a convenient list of other attractions to enjoy when you're in Colorado Springs, Colorado. 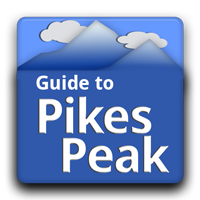 The Guide to Pikes Peak costs $0.99, and includes the option to download the entire Audio Tour of Pikes Peak (normally sold at the Pikes Peak gatehouse for $7.50). 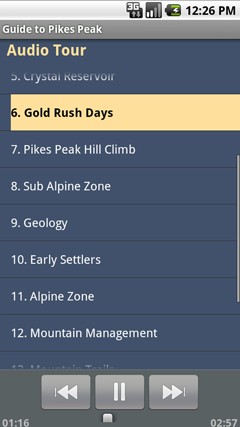 This Guide to Pikes Peak includes the option to download the entire Audio Tour of Pikes Peak, and contains no advertisements. 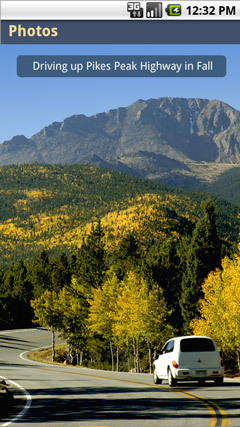 Note: Special thanks to the Pikes Peak Website for content and photography.